Chelsea striker Gonzalo Higuain has brought an end to his Argentina career after announcing he has retired from international football. Higuain played 75 times for his country, scoring 31 goals in the process, putting him sixth in their list of all-time leading scorers. He played at three World Cups, including the 2018 edition, while he was also a part of the squads for the Copa America tournaments in 2011, 2015 and 2016. However, for many his legacy on the international stage will be costly misses, as he was guilty of spurning fine opportunities in the finals of the 2014 World Cup and 2015 and 2016 Copa America editions. 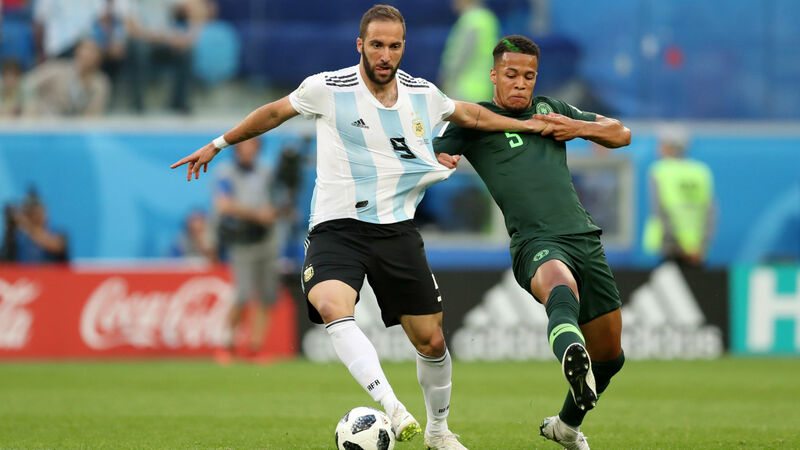 Higuain eluded to that in his announcement, hitting back at those who branded Argentina "failures" for losing finals in three successive years. "For the joy of many, my time in the national team is done," he told Fox Sports Argentina. "My relationship with the national team is normal, watching them from the outside. I want them to go forward in the best way. "I think it is done for me. I want to enjoy my family and myself. They [fans and the media] called us failures for reaching three finals in a row and not being able to win them, one of those a World Cup final. From my point of view, failure is another thing. "Many enjoy criticising instead of encouraging. They wanted renewal and a month later they are criticising the new players. "I scored a goal against Belgium to put the national team in the semi-finals of the World Cup after 24 years. I scored goals in World Cup qualifiers, but people remember only what you miss. "I saw my family suffer for the things that were said. People speak without thinking that players are human beings like them, and they never put themselves in your place. "I have been in this for 15 years. If you don't make your heart stronger, you will have a bad time in this profession. "When there is football criticsm, it's accepted. For example, if they tell you that such a striker is better than you, that's fine, but when they get into things that are not football-related and seek to hurt you, it's bad, it's toxic." Higuain last played for Argentina at the 2018 World Cup, as Jorge Sampaoli's team crashed out in the last 16 to eventual winners France.